Last summer I spoke with a couple who were planning to sell the family home and downsize now that they were empty-nesters. Yes, a wave of baby boomers are moving out of Vienna, Virginia and are hoping to cash out. Their home wasn’t a good candidate as a tear-down, and they sold it to home buyers who were thrilled to find a reasonably priced home in a great neighborhood. Since I have written about client experiences buying tear-downs, they wanted my opinion to determine if builders or investors might be interested. 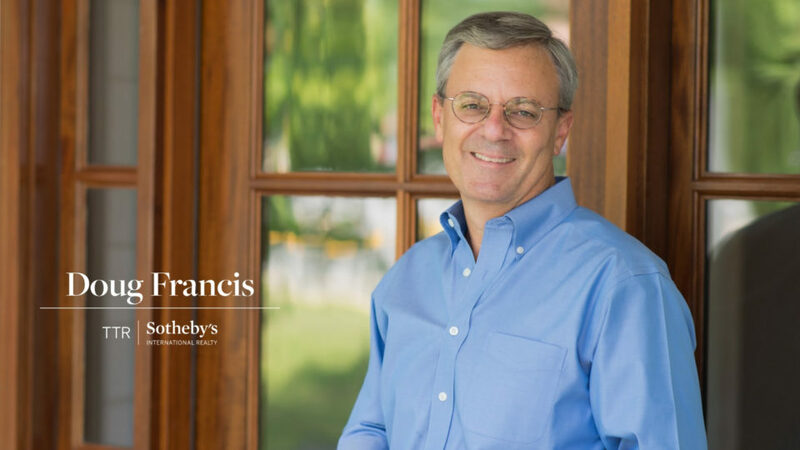 A few factors popped into my head immediately since builders typically have established criteria so they can quickly decide if a property is a good candidate. “Quickly,” in Vienna Virginia, means within a few minutes. Yes, they have professional knowledge and don’t need a “30-day study period” which is the common strategy for the unseasoned real estate investor. The 9,208 square foot lot on Park Street SE can only hold a house that’s so big, meanwhile the 22,611 square foot lot on Nelson Drive NE can handle a house of almost any size. Every property will have to comply with required set backs and building restriction lines. Factoring those up will help determine the size of the house. A complicating issue is that some lots aren’t very deep, or are too narrow, or have an irregular shape. If there is an existing house, it may be set as close to the street as possible. This should be your first, unofficial measurement. Determined where the rear of the property is using existing fences. Fences may be a few inches over the property line so remember, this is an estimate. Now, look at the sides of the property for a fence, line of bushes or even a strip where the grass is cut shorter. Depending on how the lot is “zoned”, the side setbacks can vary. 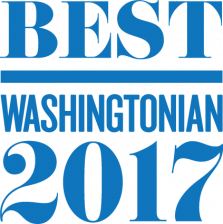 To accurately find out this information, they will log into the Fairfax County Tax Administration’s web site and look up the address. With that information in hand, they will know if the side set backs are 12 feet deep or 15 feet deep. These dimensions will impact the build-able area and style of house that can be built on that specific lot. The zoning also defines how close the front of the house can be to the street. The Town uses the distance from the Center Line in the street, measuring from that spot back to a point which can be 50 feet, 55 feet or 60 feet depending on how the home is zoned. Investors and builders want to sell homes as quickly as possible since to tie up capital for an extensive period is expensive. And if you have been in the Vienna market recently (October 2015), you have probably seen some of the homes for sale that were built on less desirable lots. All of the schools around Vienna rank well, but investors right now seem to be paying premiums for homes to tear down that feed into Vienna Elementary School. The elementary school boundaries in the Town of Vienna feed into six different Fairfax County public schools, all of which rank highly in online school evaluation sites. 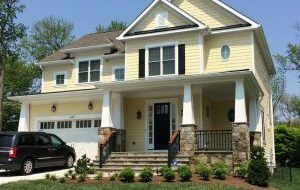 Access to the Metro, W&OD Trail or the center of Town are critical parts of a marketable location. Not all builders buy property. Rather, a high percentage have an investor buy the land (sometimes the future home owner) so that they burden the cost of carrying the land and paying taxes. Investors and “spec” builders can determine the price of a tear-down quickly, determine the current financial situation of the seller, and make a written offer at a price and terms beneficial to them. A lot will depend on the real estate market at the time, and they assume considerable risk since they can’t predict the final costs of construction. 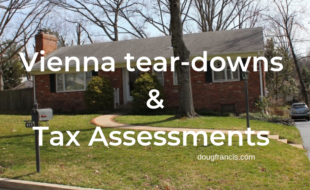 Homeowners often assume that their county tax assessment is actual market value. Homeowners commonly believe they can trust a builder since he has signs all over town. The bottom line is that investors often make their profit when they buy a property for a project. Are there more secrets that real estate investors know? Of course each one has their own checklist for deciding to select a property as a candidate for a infill or tear-down. The biggest issue that I see non-investors having is not having a house design already in place. Their sequence is wrong and, hopefully, that will be the key takeaway from this article. Investors and “spec” builders have designs in hand and then look for lots that can accommodate their design. 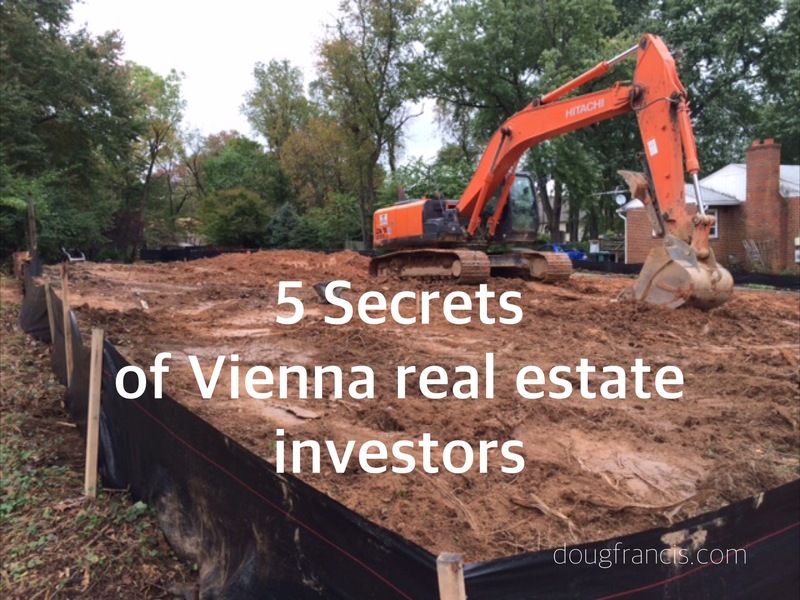 Finding a great lot in Vienna is possible, as I wrote about last year, and with over 90 construction projects currently under way in the Town of Vienna, the future has a lot of construction ahead.